I’m going to completely fail to surprise any longtime readers of the site with this sentence: I am kind of a fan of Final Fantasy XIV. Of course I am. I write our weekly column about the game, I discuss the game in other columns, and I went across the country to preview the game back in February. It’s not a secret. Nor should it come as any surprise that I am a Legacy player and thus have had the opportunity to take part in the game’s first two beta test phases. As of today, I can start talking about those experiences. Well… I can sort of talk about those experiences. A lot of what I have to say was already conveyed back when I took that aforementioned trip in February. My warm feelings about the game have not diminished in any way over the past few months, but rather than rewriting everything, I thought I’d go with a look at some things I’ve discovered from not hitting just the highs and the lows. One of the biggest things that I didn’t quite get to in February was tanking. 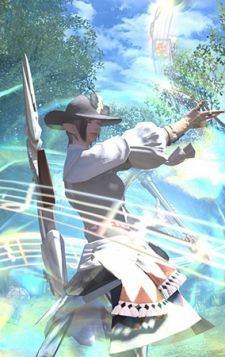 I’ve described tanking in Final Fantasy XIV’s original version in various unflattering terms, ranging from “not fun” to “something so miserable it makes me want to quit my job.” It wasn’t a good time is my point. You had to hold aggro without the tools to actually do so, there were wonky interface issues, and the overall flow just wasn’t fun. Running dungeons in the beta, by contrast, has been fun. Aside from being an excellent highlight of how the game’s resource systems work even at low levels, the Tam-Tara Deepcroft alone has given me plenty of cause to run it over and over. Pulls are large without being cumbersome, and when I’ve lost aggro, it’s felt like a result of my mistake rather than a result of my not having the abilities I need. Dungeons also inherit the pace that they had in 1.0, with plenty of reasons for players to keep moving rather than wait and meander. Rewards are plentiful, and I’ve yet to see a run when nothing dropped for any given player (although sometimes the rewards have been something said player already had). Another element that I didn’t see enough to touch upon in February was how the game’s quests lead you from one place to the next; more to the point, they don’t. There are regions off the beaten path that quests do not send you to; some them have more worthwhile quests for you to undertake. There’s a sense of flexibility there, that you can strike off in any direction and just search without your time being wasted. 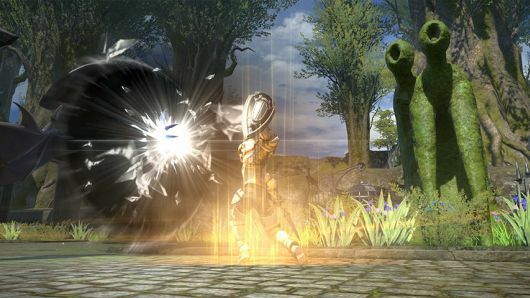 Levequests also make their return, and while they’re largely similar to their first incarnation, they’re just different enough to be more enjoyable. Leves are now broken up into five-level bands, with difficulty increases clearly marking how each step up ramps up enemy toughness. Some of the leves are still a bit unbalanced, especially for melee damage at lower levels, but the beta elements are still being tweaked. Want a more in-depth look at the core of the game? You can read the stuff I talked about regarding basic mechanics and crafting and gathering for a more in-depth look at the game as it stands. And Click FFXIV Gil to learn more information.